Ecosystems throughout the world have been contaminated with radionuclides by above-ground nuclear testing, nuclear reactor accidents and nuclear power generation. Radioisotopes characteristic of nuclear fission, such as 137Cs and 90Sr, that are released into the environment can become more concentrated as they move up the food chain often becoming human health hazards. Natural environmental processes will redistribute long lived radionuclides that are released into the environment among soil, plants and wildlife. Numerous studies have shown that 137 Cs and 90Sr are not removed from the top 0.4 meters of soil even under high rainfall, and migration rate from the top few centimeters of soil is slow. The top 0.4 meters of the soil is where plant roots actively accumulate elements. Since plants are known to take up and accumulate 137 Cs and 90Sr removal of these radionuclides from contaminated soils by plants could provide a reliable and economical method of remediation. One approach is to use fast growing plants inoculated with mycorrhizal fungi combined with soil organic amendments to maximize the plant accumulation and removal of radionuclides from contaminated soils, followed by harvest of above-ground portion of the plants. High temperature combustion would be used to oxidize plant material concentrating 137 Cs and 90Sr, in ash for disposal. When areas of land have been contaminated with radionuclides are large, using energy intensive engineering solutions to remediate huge volumes of soil is not feasible or economical. 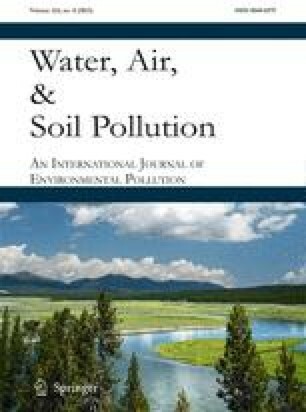 Plants are proposed as a viable and cost effective method to remove radionuclides from the soils that have been contaminated by nuclear testing and nuclear reactor accidents.